Mark Neel of Cincinnati won Best of Show, Best AA, Largest Bloom and the Emile Tissot Award for this Zorro dahlia. 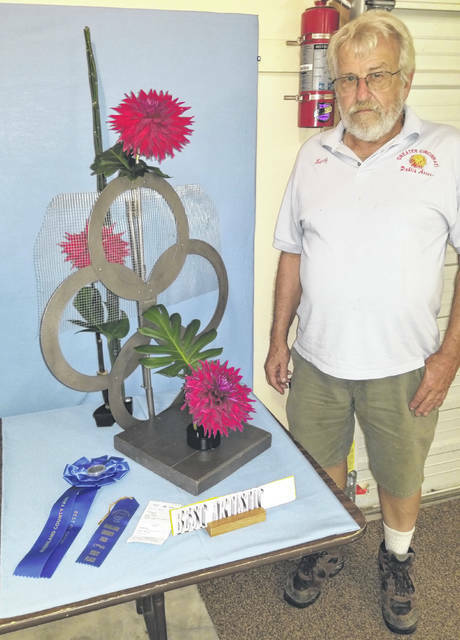 Larry Moore won the Best Artistic Award for this display titled “What Goes Round, Comes Round” during the Monday Dahlia Show at the Highland County Fair. 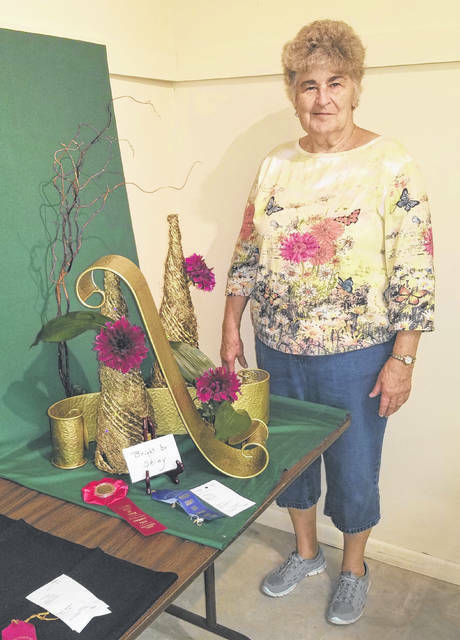 Jack Seiler and Brenda Long of Hillsboro won the Best Stellar Dahlia during the Monday Dahlia Show at the 2018 Highland County Fair. Shown in these photographs are winners from the Dahlia Flower Show held Monday at the Highland County Fairgrounds. https://www.timesgazette.com/wp-content/uploads/sites/33/2018/09/web1_Dahlia-pic-1.jpgMark Neel of Cincinnati won Best of Show, Best AA, Largest Bloom and the Emile Tissot Award for this Zorro dahlia. 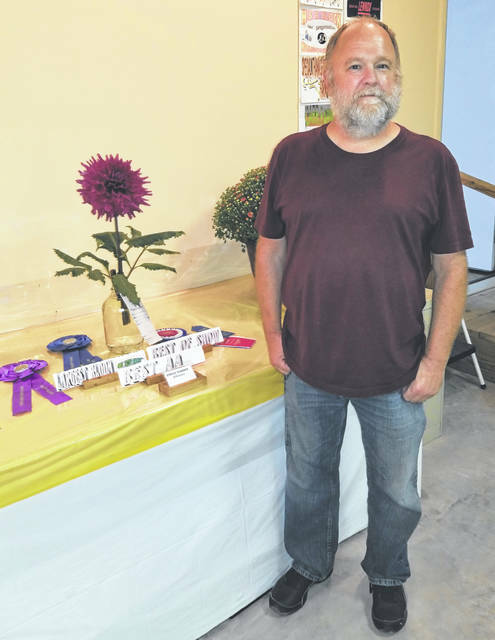 https://www.timesgazette.com/wp-content/uploads/sites/33/2018/09/web1_Dahlia-pic-2.jpgLarry Moore won the Best Artistic Award for this display titled “What Goes Round, Comes Round” during the Monday Dahlia Show at the Highland County Fair. 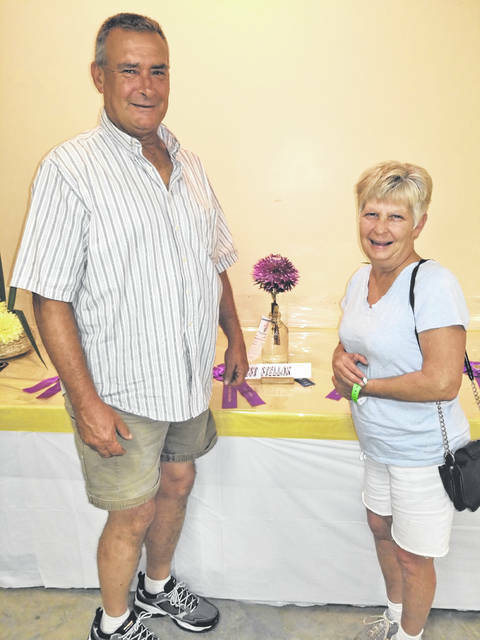 https://www.timesgazette.com/wp-content/uploads/sites/33/2018/09/web1_Dahlia-pic-4.jpgJack Seiler and Brenda Long of Hillsboro won the Best Stellar Dahlia during the Monday Dahlia Show at the 2018 Highland County Fair.